Apple's iTunes Festival has become a real fixture on London's live music calendar. Shifted from its usual July slot to September due to those little sporting events the capital also hosted this summer, the festival is in its fourth year at Camden's Roundhouse with a gig every night this month. True, if you're not a fan of corporate sponsorship and you like your festivals with mud and portaloos, then this might rub you up the wrong way. But there's a host of big names playing throughout the month, and with free tickets allocated via a prize draw, you can't argue with the price. Perhaps more than ever this year, the festival's line-up veers from the sublime to the ridiculous. While One Direction and Jessie J — who play on 20 and 21 September respectively — are arguably best avoided, Noel Gallagher's High Flying Birds (12 September), Biffy Clyro (22 September) and Hot Chip (29 September) should all bring a bit of proper festival spirit to the Roundhouse's beautiful interior. However, this year's biggest draw is likely to be Muse, who close the festival on 30 September. More usually accustomed to venues the size of Wembley Stadium, the Devon rockers may choose to fill the relatively intimate Roundhouse with a back-to-basics show. Or maybe they'll go for lasers and pyrotechnics. Either way, you're bound to hear that overblown Olympic song, which will — depending on your point of view — either round off the summer nicely or provide an ideal opportunity to nip to the bar. The prize draw for each gig closes a week before it takes place, so don't hang around if you want to win tickets. View the full list of artists and enter now over on the iTunes Festival website. 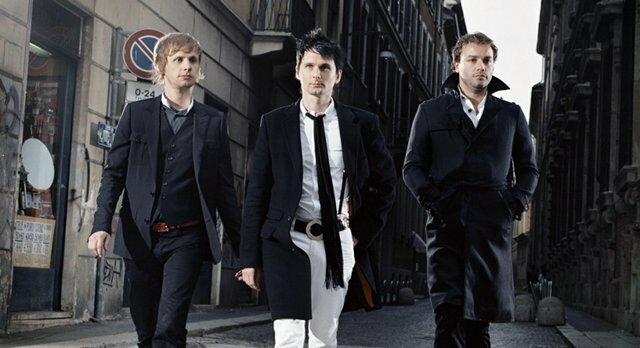 Tickets to all gigs are free, but Muse will be asking for a £20 charity donation on the door.